The San Antonio sun is waning, the days are getting shorter, the kids are back in school, and there is a noticeable nip in the air that we have not experienced for several months. Like it or not, this can only mean one thing—summer is on the way out and autumn and winter are on the doorstep, ready to make their presence known. Falls means much more time spent indoors due to colder weather but also holiday parties and pageantry. Halloween, Thanksgiving, Christmas and New Year’s for many people mean lots of entertaining and hosting people in our homes. One of the most difficult tasks during this busy season with guests is keeping our carpet looking its very best. If you’re worried about how to keep your carpets clean this fall, here’s a few tips to keep in mind. With all the foot traffic this time of year you may think it’s impossible for any carpet to remain dirt free and spotless. But with a little work and adherence to the following tips it is possible to get through the indoor party season with your carpet in great looking shape. First of all, try to keep as much of the outdoors outside as you can. 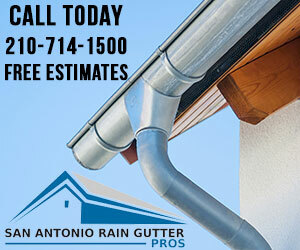 Most of the dirt buildup in winter is the result of dirt and moisture that is walked inside. Purchase some sturdy rugs and have a designated place for shoes when guests come indoors and make sure to keep the porch and driveway swept and shoveled. You should always try to vacuum more often in the winter. Use a high quality vacuum cleaner to maximize your results. Make sure to do the staircases and other high traffic areas that attract dirt. Some vacuums even come with air filtration systems to improve air quality as well. If your carpets begin to look dirty or worn before spring is on the horizon, don’t wait to get them professionally cleaned. The longer you ignore the buildup of dirt the more damage it will do it and make it more difficult to remove. Remember, there are some advantages to carpet cleaning in the winter. Your carpets dry faster in the winter than in the summer and some carpet cleaning companies will have more available appointments. While your goal is to learn how to keep your carpets clean this fall, keep in mind that spills will happen eventually. From the dirt on your shoes to spilled coffee, your carpet can take a beating. A few precautionary measures and cleaning techniques can help reduce the damage done to your carpet. When these are not enough, you can always hire a professional carpet cleaner to get your floors looking like new again. When it comes to protecting your carpet, floor mats and taking off your shoes are your best friends. You may not be able to prevent accidental spills, but you can make sure that everyone removes their shoes before they enter the home. Floor mats at each door will also help to pick up any dirt particles that would otherwise be tracked inside. Stains are much harder to clean if they have had time to soak into the carpet. As soon as a stain happens, use over-the-counter stain remover to tackle the stain. You should never use heat when cleaning a stain. This can cause the stain to become baked into the fabric. If you don’t have stain remover at home, a blend of water and vinegar or club soda will remove the stain. Make sure to blot at the stain because scrubbing tears up the carpet fibers. Out of all the stains, gum is one of the most difficult to remove. If you did not notice it right away, the gum will fuse to the carpet fibers. Then, it will become impossible to remove without tearing the carpet. One easy solution is to use an ice cube. Use the ice cube to freeze the gum for at least 30 seconds. Afterward, you should be able to lift up the gum with a spoon. While some of the carpet fibers may still break, it’s less likely if the gum has been frozen first. When it comes down to the last resort, ask for help! Carpets last longer when they are professionally cleaned at least once a year. Heavy traffic areas, stains and mud are removed better with professional cleaners than do-it-yourself products. A carpet is essentially a filter for the air that traps dust and pollen. When it is not cleaned properly, dirty carpet can cause allergies to worsen. 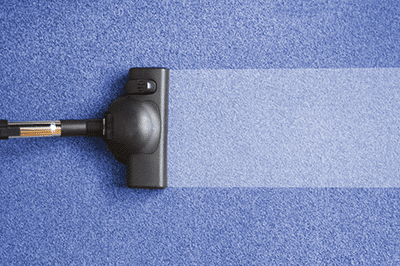 When your carpet becomes dirty, you can get it back on track quickly. 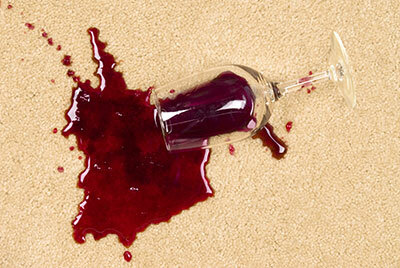 A professional cleaner can help to remove stains and ensure that your carpet is in the best of shape. To get help with carpet cleaning, contact a local San Antonio carpet cleaner, such as New Braunfels Carpet Cleaning Pros or Boerne Carpet Cleaning Pros. They can also provide additional tips on how to keep your carpet clean this fall.